No one offers better Japanese and Korean cuisine to the public than the professionals at Sushi & Sake. 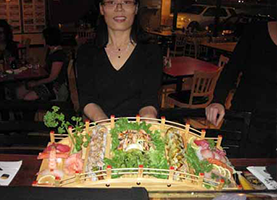 Sushi & Sake has something for everyone wanting a diverse and delicious Asian menu at reasonable prices. 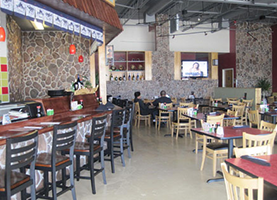 Sushi & Sake offers a variety of exceptional Japanese and Korean food to diners in the Albuquerque, NM area. Once diners experience the delights of this family-oriented establishment, they become addicted! The chefs here are continually changing the menu to entice, delight, and please the visiting public. Many customers are so pleased they regularly refer family, friends, and associates. All ingredients used in this eatery's dishes are fresh. Many are from a local farm that assures no pesticides are used. Many foods are from local Asian stores that ship directly from Asia. Freshness and quality are cornerstones for this eatery's success. Whether it is for Japanese food, Korean food, or sushi, people of all ages enjoy coming to this local favorite. The restaurant is spacious, well lit, and simply delightful for everyone. The menus are easy-to-read, with menu items being described in very easy-to-understand language. Many customers simply enjoy looking at the enticing pictures prior to ordering a dish! 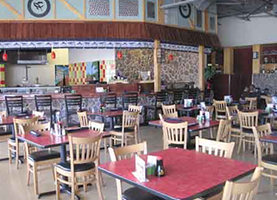 All menu items are priced so diners with all budgets, groups, and family sizes can enjoy a tasty, healthy Asian delight. Whether it is one piece of sushi or an entire Korean plate, there is something here for everyone! This eatery opens its doors to large groups. With a dining area that accommodates up to 30, groups can easily reserve a room during standard operating hours. Advanced reservations are required. Stop by Sushi & Sake when in the Albuquerque, NM area to find out why this eatery is such a great find for those wanting to step away from the standard American fare. Do it before this delightful dining wonderment starts forming lines out the front door!